Sometimes the worst can happen unexpectedly, and you may find yourself facing personal injury, expensive medical bills, and even a lengthy lawsuit after a car accident or other event. Plaintiffs in Honolulu and the surrounding suburbs may be eligible for a lawsuit loan that can help them keep their heads above water while personal injury proceedings are under way. At Interstate Lawsuit Funding, you’ll find a staff of loan professionals who have years of experience working with plaintiffs in Hawaii to provide pre-settlement funding to those involved in a variety of cases. 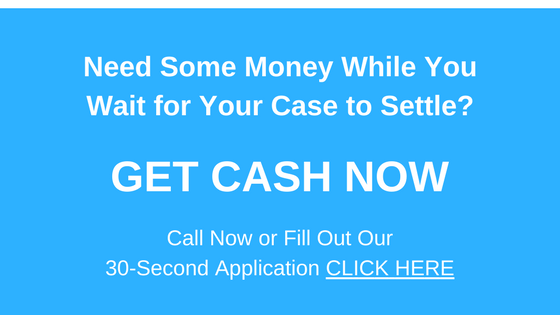 A lawsuit cash advance of this sort can provide you with the money you need to pay your rent or mortgage, buy food and other necessities, and even pay your medical bills. If you’ve been injured in an accident, there’s a good chance you’re unable to work and the hospital bills are starting to trickle in. In addition, these types of lawsuits tend to get drawn out in court for months on end, which could mean that if you’re unable to work during litigation, you may not have any cash flow at all. A litigation loan from Interstate Lawsuit Funding can offer you the peace of mind you need to get through a challenging case. All you have to do to get the process under way is call us or fill out our 30-second online application. Our fully trained, accredited professionals will review the merits of your case and speak with your attorney to determine if you are eligible for a lawsuit loan. If we decide you are, you could receive the money you need in as little as 24 hours. Even better, there’s no need to worry about a credit check or collateral to qualify for a lawsuit loan from Interstate Lawsuit Funding. Our settlement advance loans are also non-recourse loans, which means that you will only have to worry about paying back the loan if you win or settle your case. In that instance, the money to pay it back will come straight from the proceeds of your settlement, so you will never pay anything out of pocket. If you lose the case or fail to settle, you owe us nothing. If you are a resident of Honolulu or anywhere on Hawaii, Interstate Lawsuit Funding offers loans for cases including animal attack, assault, burn injury, car accident, discrimination, harassment, medical malpractice, motorcycle accident, negligence, workers’ compensation, and much more. Contact us at 954-946-0487, or fill out our easy, 30-second application online to find out if you qualify today.